Bahrain International Airport (BIA) handled 142,725 passengers during Eid, a 9% increase when compared to the same period last year, and 1,331 additional flights, an 8% increase from 2017. These impressive figures come on the back of an increase in the number of airlines operating out of BIA, and improvements being made to the airport’s infrastructure and services as part of the ongoing Airport Modernisation Programme (AMP). 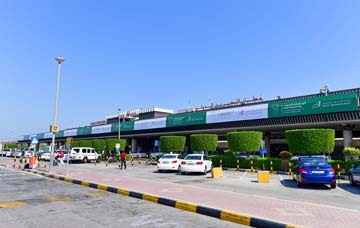 Chief Operations Officer, Michael Hohenberger, said: “Bahrain International Airport smoothly and efficiently handled the surge in passenger and flights traffic during the Eid break, which has proved the airport’s ability to handle larger volumes. The AMP‘s objective is to transform BIA into a world-class boutique airport and grow the aviation sector’s contribution to the national economy in line with Bahrain’s Economic Vision 2030.